Description: This is a Topps Chewing Gum sticker card with Dr. 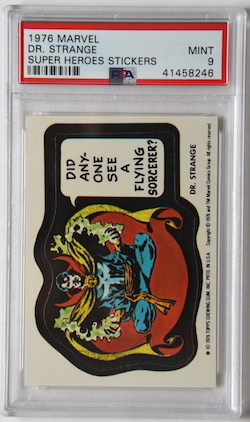 Strange saying DID ANY-INE SEE A FLYING SORCERER. This is the one * US variant. 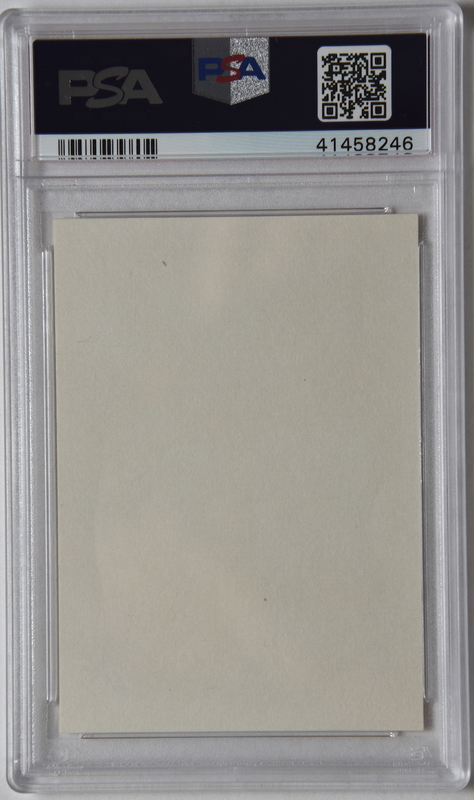 This card is graded by PSA Mint 9.